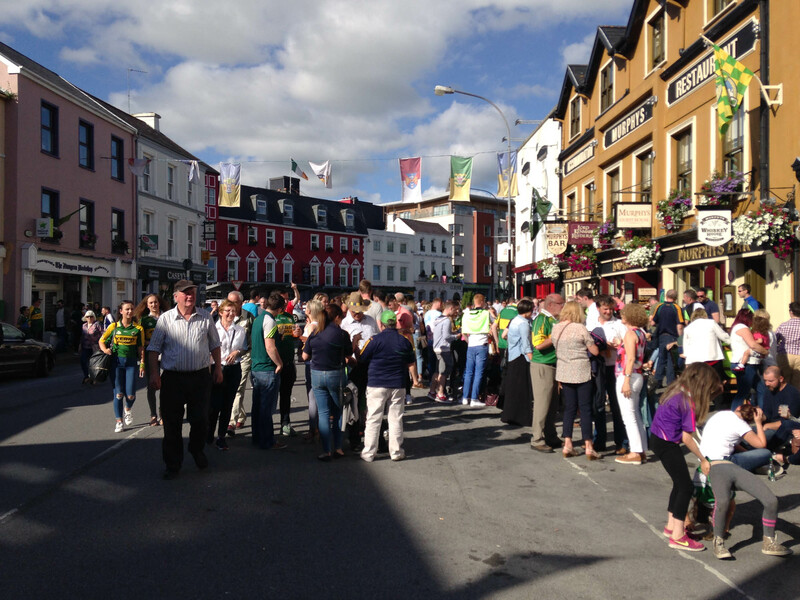 Just your typical Sunday in Killarney, Ireland. This weekend, St. Patrick’s Day will be celebrated with a lot of Guinness, green food dye, and shamrock shakes. But you might be surprised to learn that the main dish Americans associate with the holiday, corned beef and cabbage, didn’t originate in Ireland. Let’s dive into all things green, how this famous dish came to be, and what exactly ‘corned’ beef is anyways. Please excuse the blurry photo, party like it's 2011. What began as a religious feast day has become quite the party in the U.S., celebrated by those of Irish and non-Irish heritage alike. There are parades, music, green-dyed beer, and many many more green things. 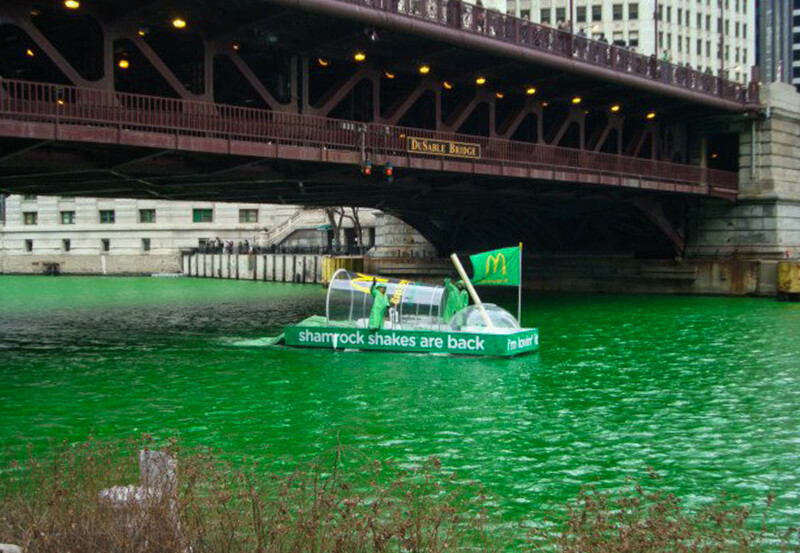 Including a river – yes indeed, Chicago dyes its river flourescent green, and it is marvelous to see. Just you and 400,000 of your closest St. Paddy’s parade friends! There is no shortage of bright green food and drinks around this time of year either. I can still specifically remember celebrating St. Patrick’s Day with green eggs and ham from my kindergarten days. 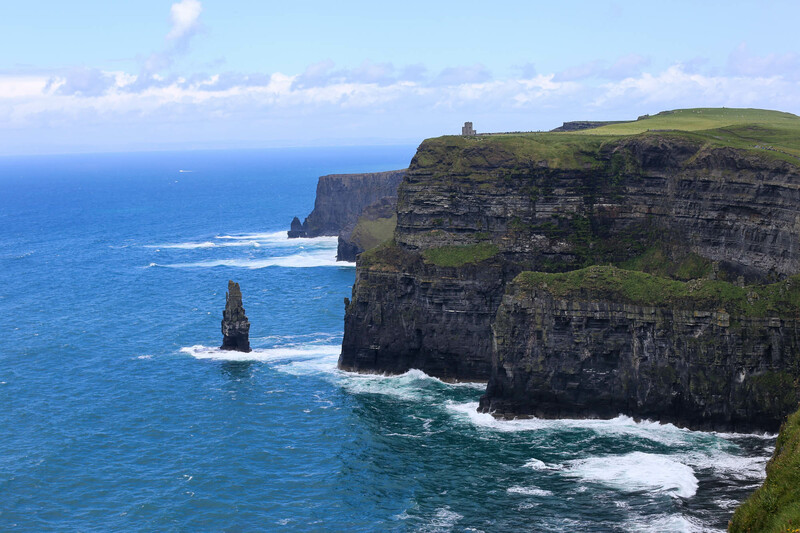 The color green is strongly associated with Ireland, also known as the Emerald Isle, if you take the hint. Once you visit you will know why. 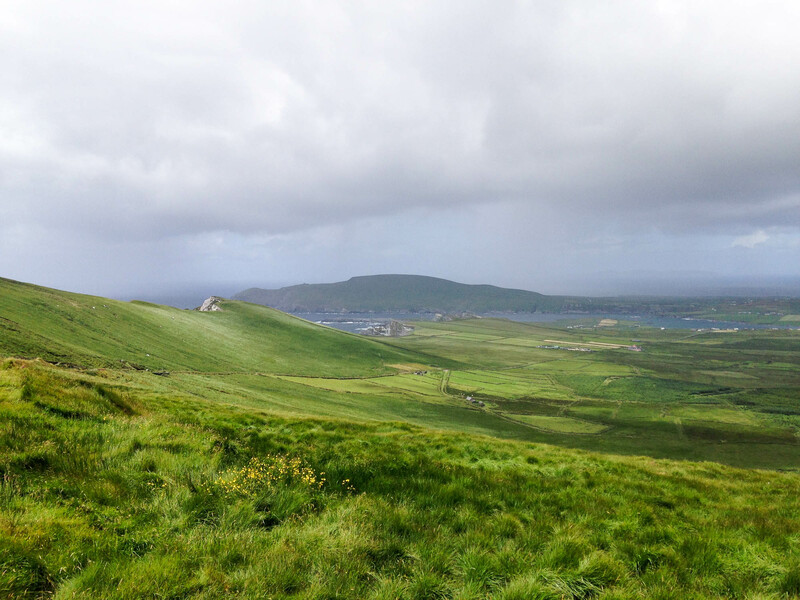 In 2016, I was lucky enough to visit and head-over-heels fall in love with the rolling seas of green and wild, rugged countryside. Emerald Isle indeed. Yes this is a real place and for some reason I left it. Corned beef, it turns out, has been around for quite awhile. Ireland was a major exporter of canned corned beef around the 17th century after British landowners introduced cattle to the island. However, few Irish people consumed it due to the high cost; corned beef was considered a luxury mostly reserved for the wealthy landowners. As Smithsonian.com notes, it’s ironic how the people producing the corned beef, the poor Irish tenant farmers, could not even afford it for themselves. Pork was much more common around the dinner table – and St. Paddy’s day meant pork and potatoes. 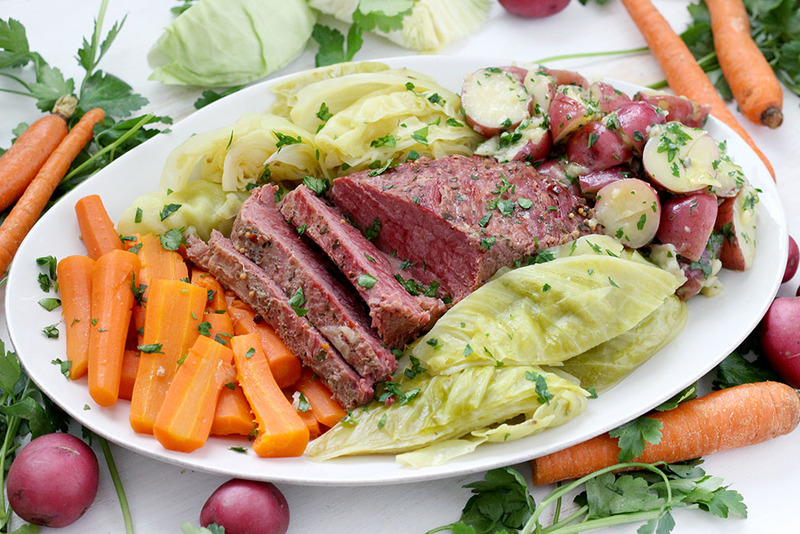 Instead, the combination of corned beef and cabbage developed among the early generations of Irish immigrants to the United States, around the mid-19th century. New York was a melting pot of different ethnic groups, where the Irish working class lived and worked right alongside their Jewish and Italian neighbors. In an interesting turn of events, the Irish immigrants could not afford the high price of pork, so they turned to a lower-cost type of meat – corned beef – likely from Jewish butcher shops. What was once a luxury export in another country became readily available and cheap in America. Cabbage was also more economical than potatoes, and so became the favored side dish boiled right in the pot with the meat. So what’s with the corn part, right? It has nothing to do with the vegetable that grows on stalks. Instead, corned beef refers to the large, corn-sized grains of salt used to brine (salt-cure) the meat. The brine and long, slow cooking process transforms a usually tough cut of meat (beef brisket) into tender, flavorful corned beef. Corned beef and cabbage grew in popularity as St. Patrick’s Day evolved into the fantastical event it is today, celebrating Irish-American heritage. Whether you’d like to stay true to the motherland, or adopt the Irish-American favorites, is completely up to you. For more traditional Irish fare, you can start the day with a complete Irish breakfast. One of my favorite parts of my own visit to Ireland was sitting down to a relaxed Irish breakfast with tea each morning. For a hearty dinner, another Irish favorite is shepherds pie! 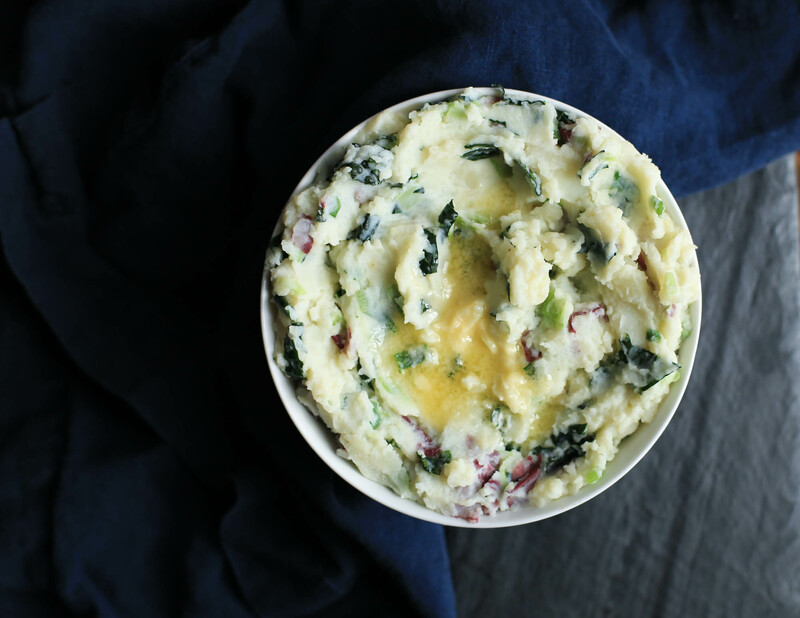 Or serve a side of colcannon, which is a dish that I can definitely get behind: it’s mashed potatoes mixed with cabbage (or kale), scallions, and quite a bit of butter. Or you may have heard of Irish soda bread. 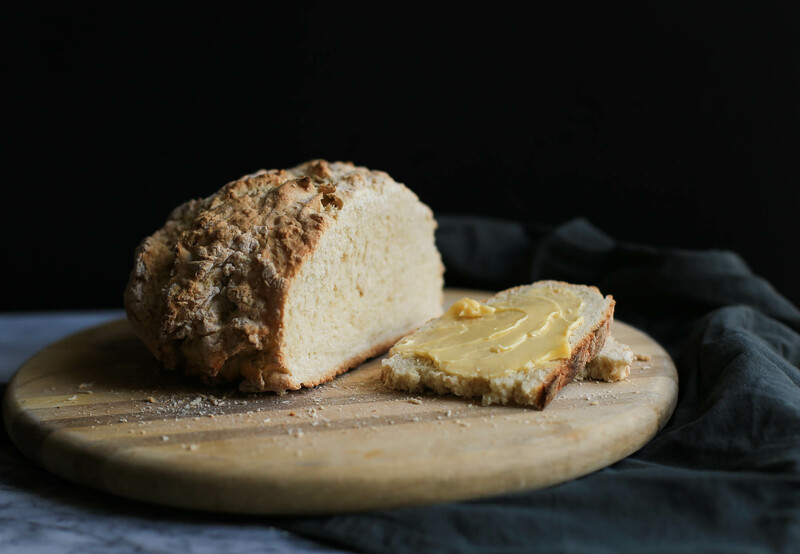 Irish soda bread does not involve Coca-Cola in any way. Rather it’s the baking soda used in the recipe – one of the easiest bread recipes I’ve made, actually. There is hardly any kneading or shaping or fuss, and it’s yeast-free. Best served with a healthy schmear of Kerrygold butter, of course. Traditionally the bread is plain, but in the American adaptation you can often find raisins or such added into the loaf as well. You may see a theme with Americans adding their own twist to things. These days, even the people of Ireland have made adjustments to the once-modest feast day. According to NPR’s the salt, pubs in Ireland will serve up corned beef because the St. Paddy’s Day tourists like it. It’s apparently come full circle. I saw something to this effect first hand visiting Ireland as well, when the village of Killarney started to set up for their 4th of July parade….for all the American tourists in town. 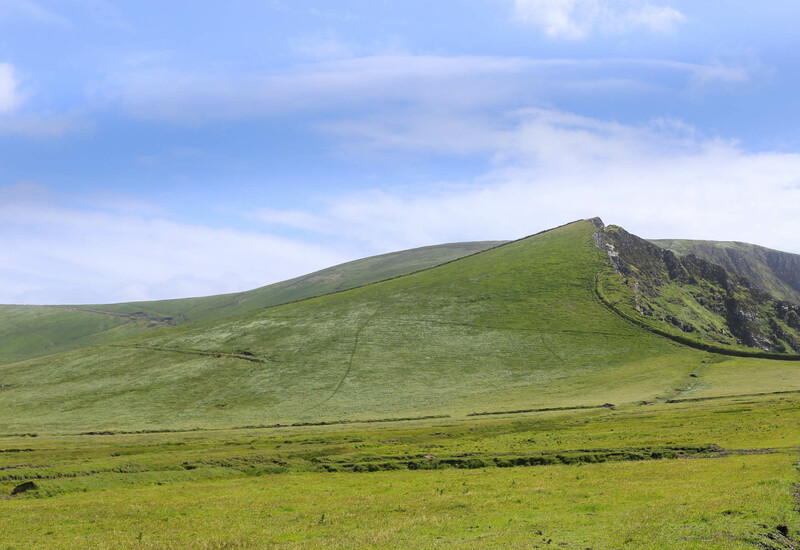 Myself, I prefer the untamed part of the Emerald Isle. Will you be eating anything special to celebrate St. Patrick’s Day? This is the fifth installment of my favorite series here on The District Table, Food Beginnings. We’ve also reviewed how sushi came to be, the questions behind Easter bunnies and eggs, wings from Buffalo, and cakes for kings. Check them out! My Newburyport grandmother”s New England Boiled Dinner NEVER included that red NY style corned beef with all the spices! She used three different meats, but when it was corned beef, it was always the grey New England style corned beef. One huge difference in cooking though is you have to change the water after the first five minutes of boiling. That removes the salt left from the brine. Clean your pot and add fresh water. Return to a boil then simmer, I go at least five hours. Call me an old curmudgeon (I am 66), but it seems blasphemous to use a NY style corned beef in a New England Boiled Dinner! Please, just call it corned beef and cabbage. The only tweak to my pot has been adding Brussels Sprouts.